I'd like to say that the letter of December 24th, 1862 was full of Victorian era...Dickensonian splendor, but it is not. The shortest of all of the letters, this one is a simple acknowledgement to his parents of the receipt of $10.00 in the mail. 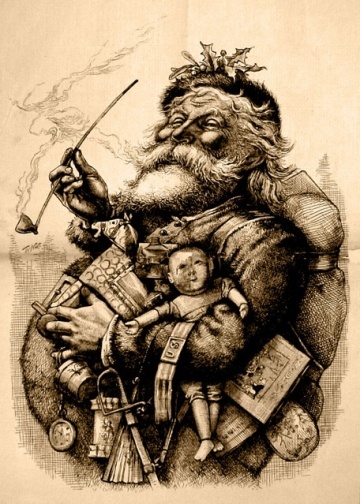 Not exactly an insight into 19th century Christmas tradition. 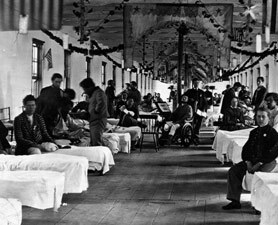 I can only surmise that John had little to say since his last letter on December 20th and more than likely he was a bit depressed and sad at spending another Christmas away from home...in the hospital. Set myself down to write this few lines to you to let you know that I am well at the time this letter leaves me and I hope that this few lines will find you in the same state of good health. Further I let you know that I got the letter with the 10.00 dollars in and I did answer it which you will have the answer before then. This few lines from your son. 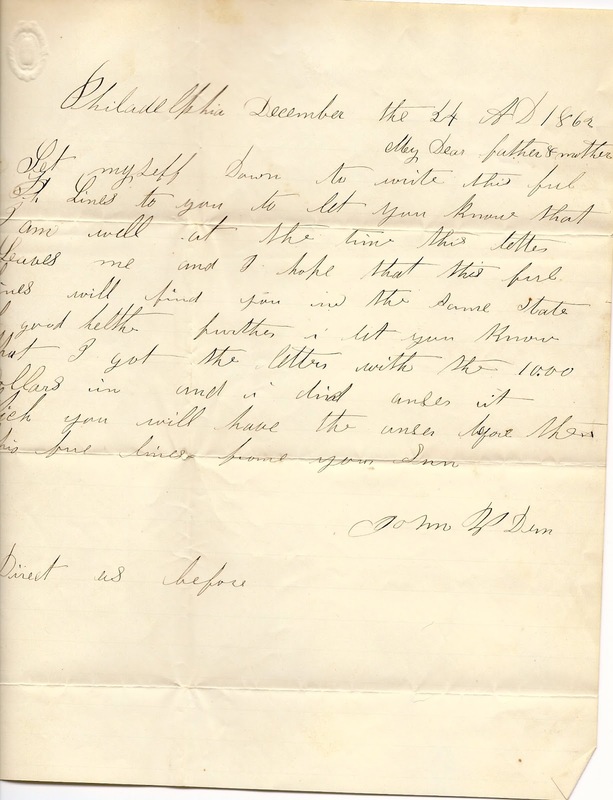 As I wrote about early in this blog, no record of letters written in 1863 survive today. It is not known whether letters from the year 1863 survived, or if indeed, there were any letters from this period. However, it appears inconceivable that a prolific letter write, who was as concerned as John W. Derr was about his family and friends and his financial affairs at home, would simply not write home for a year. 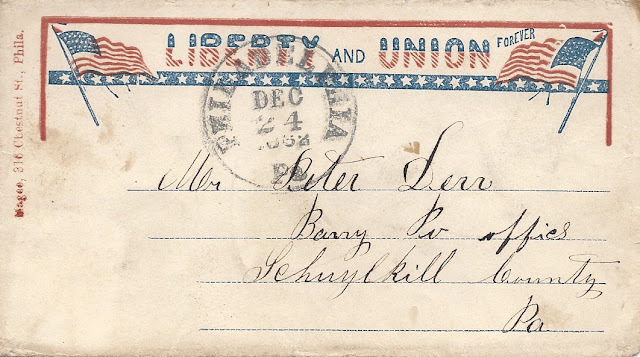 On the contrary, the early six months of 1863 which were spent by the 48th and JWD on provost and guard duty at Lexington, Kentucky probably generated more letters than previously. Despite this chronological gap of letters, it is possible to draw a fairly accurate picture of his monthly activities and location during 1863 from his muster records and other historical records of the 48th Regt. Pennsylvania Volunteers. I will strive to post historical records of the travels of the 48th Pennsylvania Volunteer Infantry during the period of January 1863 to March of 1864...when the letters resume. Please stay tuned for more information on this as well as adjacent stories and history of John W. Derr and the folks of Deep Creek, Pennsylvania. Merry Christmas to all and a Happy New Year! Thank you for your support in 2012.